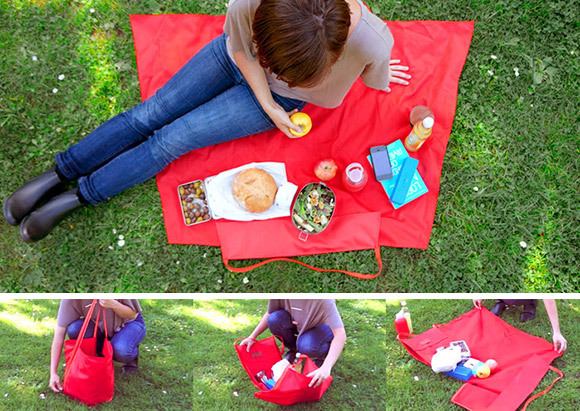 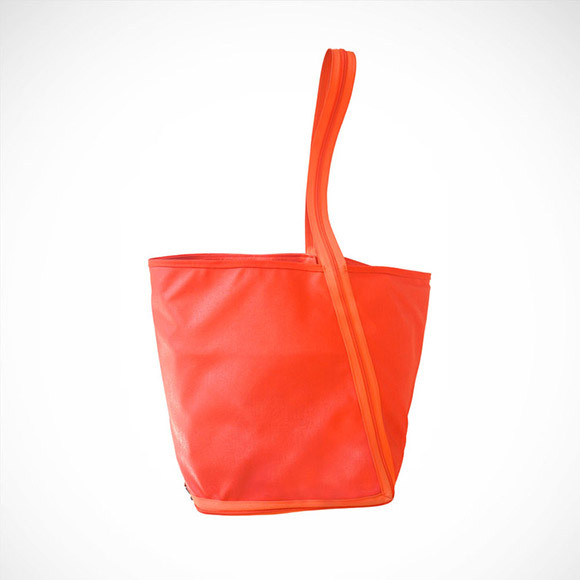 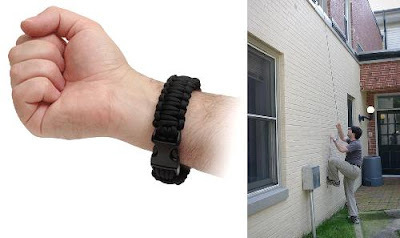 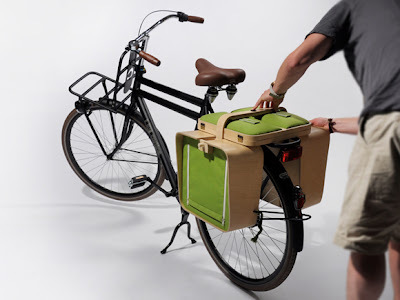 Collection of 'Creative Gadgets and Products for Picnics and Camping' from all over the world. 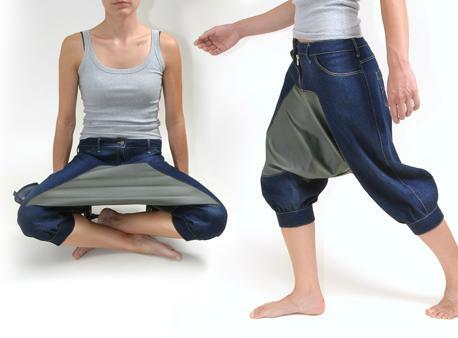 Picnic Pants: Cool pants designed by Italian company Acquacalda transforms into a useful surface when you sit crosslegged. 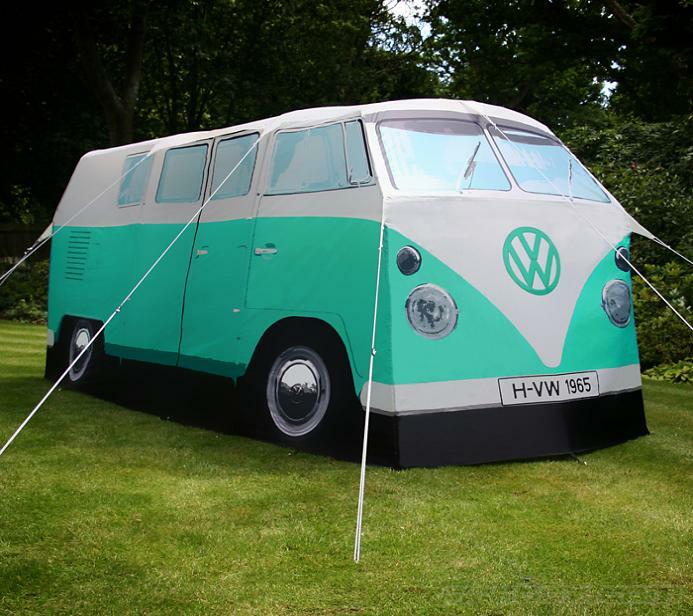 VW Camper Van Tent: This cool camping tent is a full-size replica of the 1965 Volkswagen camper van. 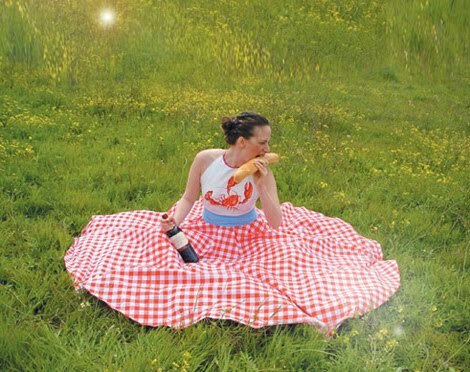 Picnic Dress: Dress this shirt and go to picnic and you need not worry about the blanket. The Spontaneous Picnic Dress is made from 3 different food related fabrics, the Buttercup dress lets you enjoy your meal. 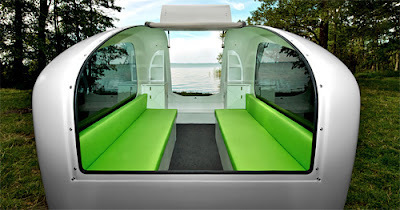 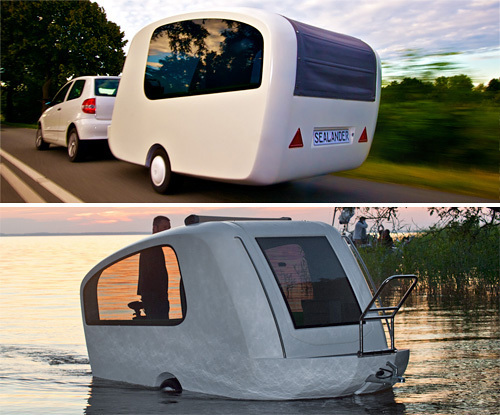 Camper Boat: The Sealander is an innovative camping trailer that also functions as a boat. 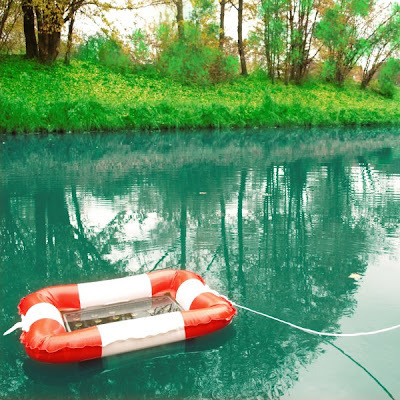 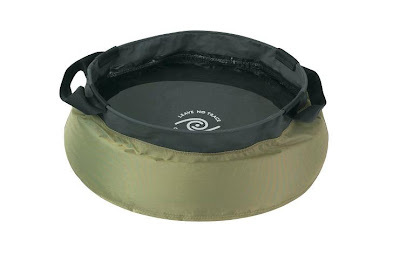 Its wide and bowl-shaped for use on both land and water. 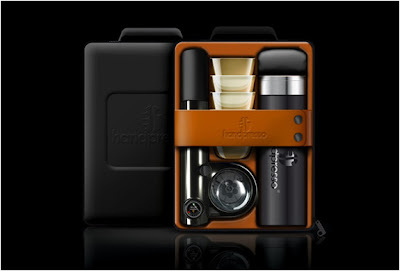 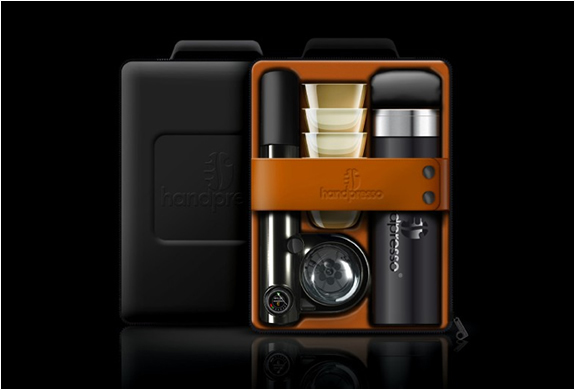 Handpresso Outdoor Set: The stylish bag contains a small, portable and manual espresso machine. 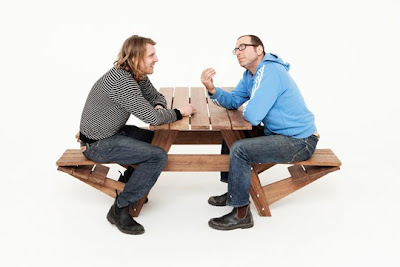 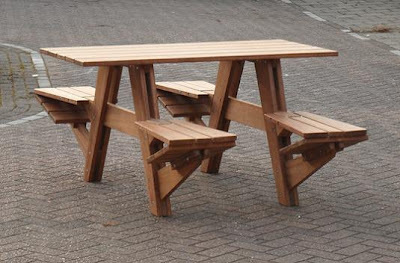 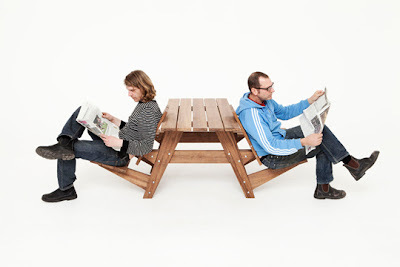 Picnic Table Seats: Made from pressed bamboo, creation of designers Jair Straschnow and Wouter Nieuwendijk, the bench divides into separate seats while the other option is a more relaxed low seating one. 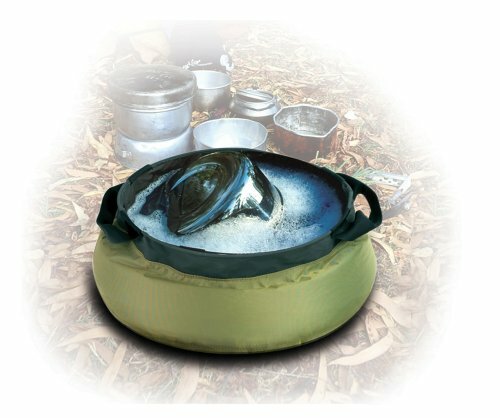 Sea to Summit Kitchen Washbasin: A cool portable camp washbasin that really works, good for collection as well as for holding water for purification, cooking, washing dishes or personal bathing. 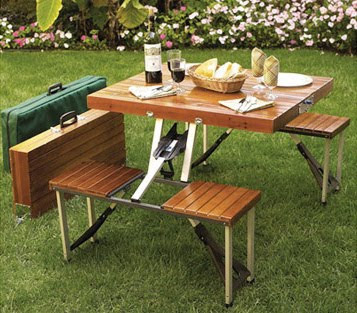 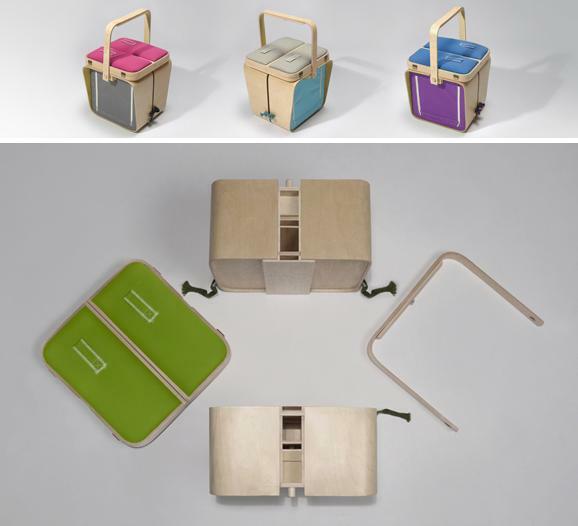 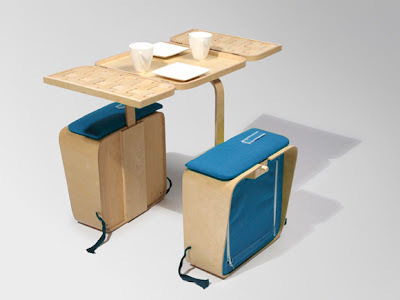 Suitcase Picnic Table: Made of wood and aluminum, it's a picnic table in a suitcase, and weighs 22 lbs. 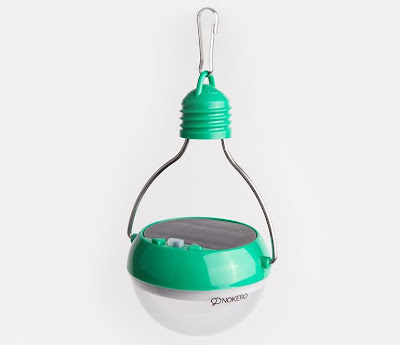 Solar Light Bulb: Ideal for indoor and outdoor lighting; it can be of great use during camping, it pays for itself in 15 days to 2 months by removing the need for candles or kerosene. 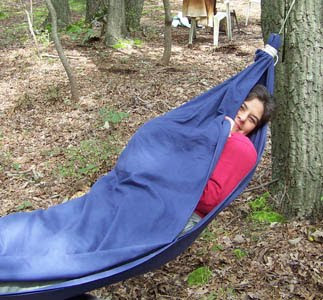 Bed Sheet Hammock: How about making a hammock using a bed sheet, it could be of great use during camping.